Колишній чемпіон світу з боксу у надважкій вазі став мером столиці України і розповів нам, чому ми повинні приїхати до Києва (англ.). 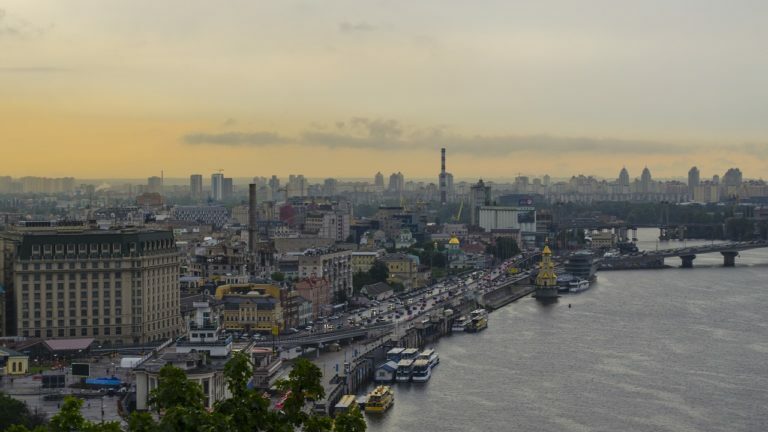 Kyiv, as it is locally spelled, (pronounced Keev or Ky-eev), is the capital of Ukraine, a country with an air of mystery that has been fought over for centuries, and is being, sadly, partly fought over now. Ukraine actually sits in the geographic center of Europe, making it a meld of East meets West. Finding its independence from the Soviet Union less than 30 years ago, it’s also still a fledgling country, again. Soviet monuments and buildings dwell alongside those left behind from the Austro-Hungarian Empire, amongst others who once occupied great swathes of the country. It’s the second largest country in Europe, although still not quite as large as Texas, and has a population around 44 million. It also has the second highest mountain range on the continent, the Carpathians, and a sizeable grain export sees it referred to as the breadbasket of Europe. Kyiv is located in the north central part of the country on the Dnieper River and was founded 1500 years ago. To find out more about this special, storied place I spoke with the extremely charismatic, doctorate holding, six-time World Champion boxer Vitali Klitschko, who hung up his gloves in 2013 to become the Mayor of Kyiv. What are you working on as Mayor of Kyiv? I am fighting now for my city. To make people happy. We have many projects: medicine, education, transportation infrastructure and touristic infrastructure. Many different plans. We have four million citizens and are one of the largest cities in Eastern Europe. All changes happening in Ukraine come from the heart of our country, in Kyiv. The mayor’s office has just had a grand opening with new buildings with touch screens, with information for every citizen. It’s very modern, interactive, very friendly for everyone who comes to the mayor’s office. Yes actually it’s safe to go to Ukraine. Everything that happens happens east of Ukraine, 700 km east of Kyiv, in the port of Russian federation. It’s the Russian media right now who deliver information regarding Ukraine. It’s nationalists, fascists, radicals. I talked to my relatives in Russia and the Russians are swamped in propaganda. Ukrainians are very friendly people. It’s the goal of Russia to destabilize the whole situation in Ukraine. But everyone who comes to Kyiv will be very happy. How did you transition from boxer to Mayor? Many people know me as a former sportsman — not so many people know that my first job was as a guide. I make excursions for the people. Three years long I work as a guide and make my first money. I know Kyiv, I know Ukraine very well. I am very happy to represent Kyiv. I see that people come to Ukraine afraid, and wonder what’s going on as they have pictures from TV screen, but they leave Kyiv very happy. They are very surprised that it’s a European city with European culture, there are very friendly people who live here, and we are very happy. I am very happy as mayor. I’m happy because the number of tourists coming from outside the country is going up, for example in 2015 one million visitors, and 2018 close to three million visitors from outside the country visit just Kyiv. 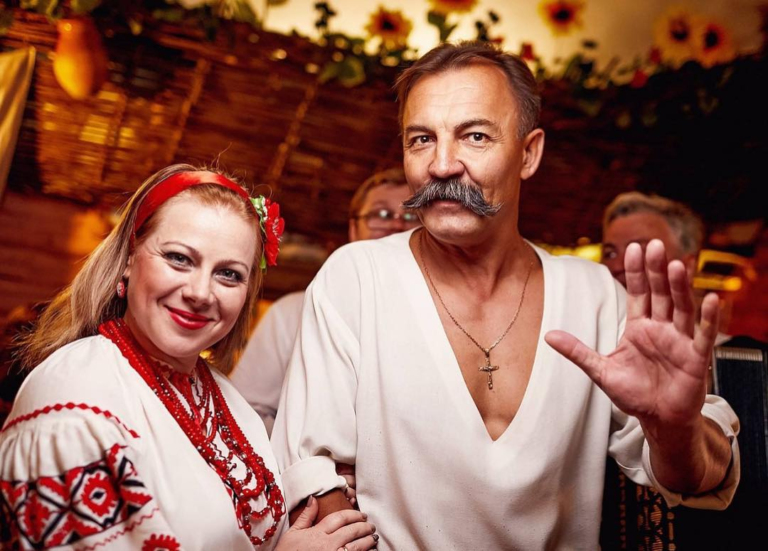 Do you feel you are Eastern Europe meets west? Yes, we are at the center, we connect south and east and north and west. Our international airport, Boryspil in 2018 saw almost 12 million passengers, one of the largest numbers of Eastern Europe. For everyone who is interested to invest in the city I am very happy. Sixty percent of investment in Ukraine last year was in the capital. And yes of course I have touristic skills and that’s why I invest so much money to make our city much more attractive for everyone who comes, because we have beautiful treasure from our architecture, from our history, from nature, we have a big river, a lot of islands. It’s a very green city. We have almost 300 parks and we have a lot of squares and sometimes in the park you feel like you’re not in the big city but deep in the forest. 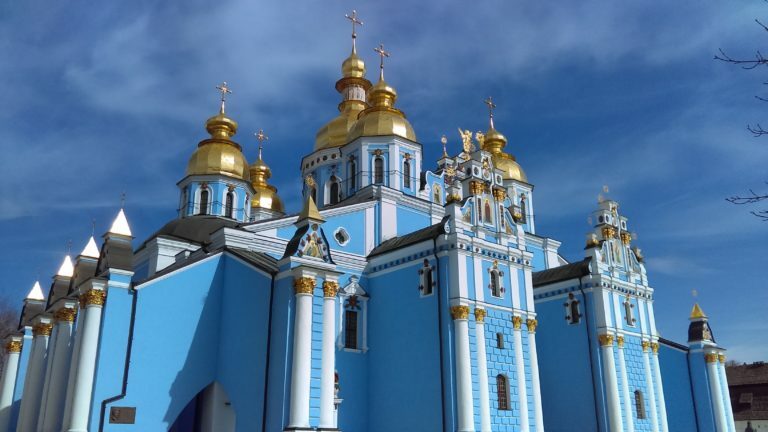 What are your favorite things to do in Kyiv? It depends what you want to see. If you want to see architecture, the history of the city, Kyiv is more than 1500 years old. We have a lot of old old buildings. You can go to the Lavra — go underground and see where the monks lived many hundreds of years ago, which is very exciting. We are Greek Orthodox. We have the largest sports park in Europe, with wakeboarding, surfing, canoeing, everything that you want. In the middle of the city we drive on bicycles through the parks, more than 50 km of trails, and coming back to the middle of the city, people are very surprised, they tell me not every city has this much space for traveling on bicycle. We have off roads, cross-country roads, a lot of things. On the river we have a lot of beautiful islands. It’s interesting traveling by boat on the Dnieper, many different directions if you try to take the time. We have many hotels from one to five stars. My brother Wladimir Klitschko [also a former heavyweight world champion boxer] also is involved in the hotel business. He has a boutique hotel. We have a pretty hot summer, sometimes over 30 degree C, [that’s 86 F to save you looking it up] and winter 20 to -30 degrees C [that’s -22F as a low, which, to be obvious, is very low]. In the summer there are many kite-surfers on our river, and snowkiting in winter. 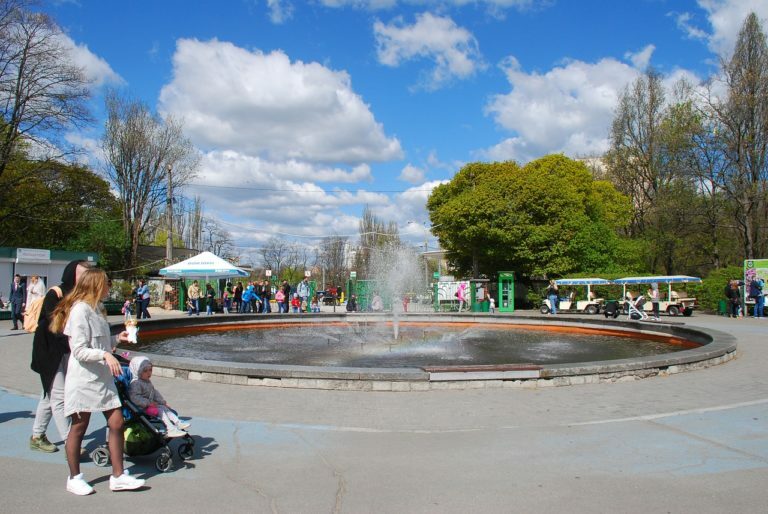 Which is your favorite month in Kyiv? I love great, golden October. I also love springtime so much. In Kyiv it’s so beautiful. What’s your favorite Ukrainian dish? Borscht – everyone loves so much! We have different kinds: red borscht, green borscht, and Ukrainian dumplings with different things inside, curry, potato, different, different stuff, it’s difficult to explain, you have to try it. I am sorry, I am not cook. What is your favorite restaurant in Kyiv? The city hotels have great restaurants on top of the roof with great views around the city and we have a very interesting national restaurant of typical Ukrainian food: Tsarske Selo. Do you personally feel as if you have to balance the west and the east, because your parents are both Russian and Ukrainian and you’re stuck in between those two flavors of commonwealth? It’s not about East and West, it’s not about Ukraine or Russia, it’s a question about values. It’s a question of the future of our country. We see Ukraine as part of the European family, with a European family quality of life, with rules, with human rights. I spent a lot of time in Germany, also in the United States and I know what I am talking about and also, I am from the Soviet Union. The question is that Russia wants to rebuild the Russian empire again and want to put a part of the Russian empire in Ukraine. We were in the USSR and we don’t want to go back to the USSR. And not a question of nationality, not a question of language, not a question of religion, a question of where we will be in the future. I don’t see our future as part of a big empire, I see our future as a part of the European family. What is the future of Kyiv? Simple answer – for everything in life, you have to fight. You have to fight for your dreams, you have to fight for your future, you have to fight for yourself, for your country, for your city, and no fight, no win and that’s why you have to show your skills every day. I’m fighting right now for my country. I’m not fighting anymore in the ring, I fight for my country, for my city, to make the life of people much happier, and this fight is much more difficult than being the heavyweight champion of the world. But I see our country very soon with a good quality of life, with good standards of life. I see my country as a wealthy country, and we have huge potential. It means more than being the heavyweight champion of the world. We could be the wealthiest, can you imagine… Thirty six percent of the world reserve of black soil is in Ukraine. We have to develop our agriculture, we have to use our potential of what we have in our country. The main point is the people right now. I’m very happy that I change the life of the people. 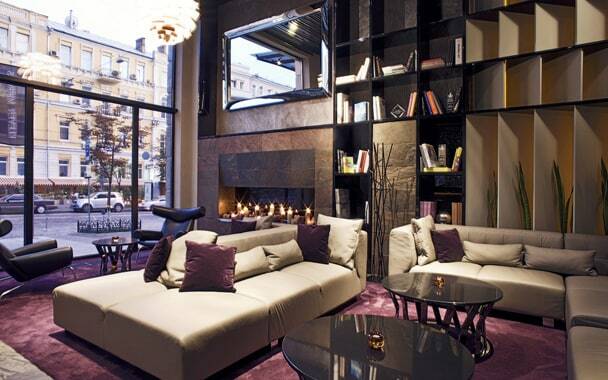 Which is your favorite hotel in Kyiv? My brother’s hotel! Eleven Mirrors Design Hotel. My brother is very happy, he has won as one of Ukraine’s best hotels on TripAdvisor the last four years running. Odesa, on the coast, is a beautiful city in the summer. 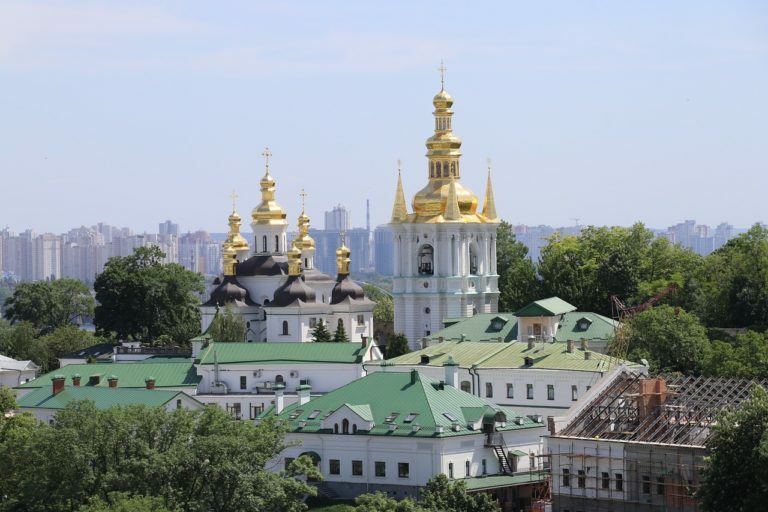 Kyiv is the seventh most populated city in Europe and has over 68 nationalities. Why so many? People come to visit for a short period of time, love Kyiv and stay forever. We have a big American community, big German community, French, and that’s why the city is very international. My personal mission is to make more possible big world events in my hometown. I like to make an invite to every festival, every organization, and any sports events to come to my hometown. Without spirit, life is impossible. You were never knocked down as a boxer? Nobody can knock me out! I’ve always had a goal to fight Mike Tyson but it never happens. Last October, the World Boxing Council, hosted by Mayor Klitschko, held it’s 56th Global Convention in Kyiv, where over 50 World Champions and boxers gathered alongside delegates from the WBC’s 166 member nations. The World Boxing Council focuses not only on boxing as a sport and on the health and welfare of its athletes, but also, through its subsidiary World Boxing Cares, as a means, of “improving the lives of the people whose countries we have the privilege to exist in,” as they like to put it. World Boxing Cares, founded by Jill Diamond, is a first class organization with dedicated people doing tremendous amounts of good for underprivileged children, often through the fulcrum of boxing — a side of the sport too rarely publicized. During the convention, the attending champions visited an orphanage, the marvelously named City of Happy Children, a rescue center that provides shelter and healing for children who are survivors of abuse and neglect, and a boxing gym that is free for kids. The orphanage has already helped more than 300 children over the past few years and is currently taking care of around 40. The boxing legends gave the children signed gloves, various sports equipment and small presents, and spent time with them. And at the convention, the WBC auctioned off sports memorabilia which raised almost $200,000 towards setting up a boxing gym for kids in Mariupol, in the south east of Ukraine. Besides his boxing gloves and signed prints, Vitali Klitschko donated his WBC championship belt, also signed by former heavyweight champions Evander Holyfield and Lennox Lewis, which raised $20,000. “This joint social project with World Boxing Cares aims to help the children who are deprived of parental care. Even if they don’t become great athletes, today’s meeting will encourage them greatly!” declared the Mayor. “We have to do everything to make their dream come true,” said Klitschko.